GN-z11 This is a highly redshift galaxy that is located in the Sunshine constellation. 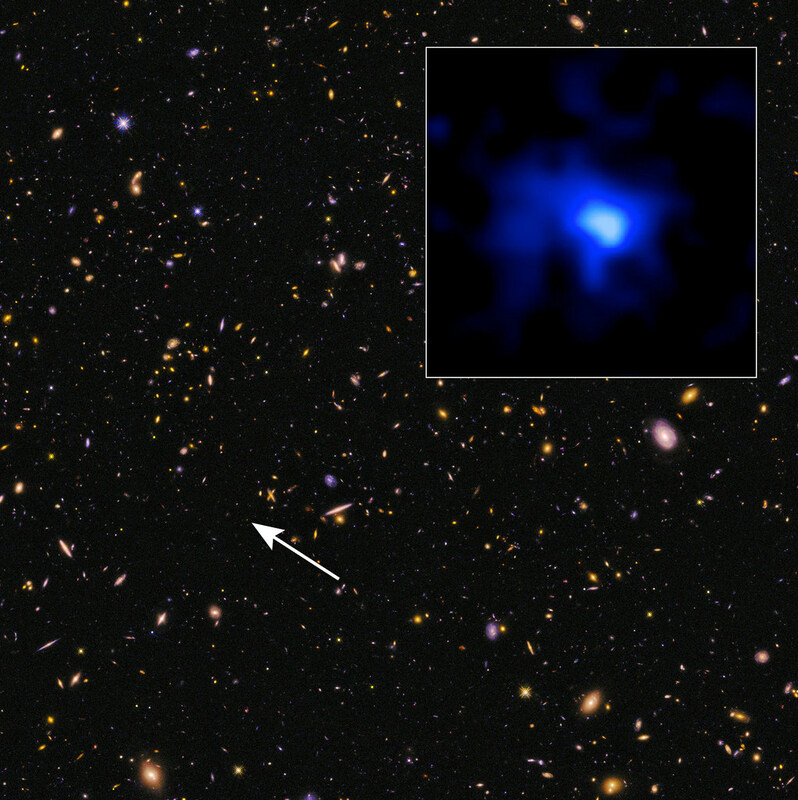 Based on the current information it is the oldest and distant galaxy. The value of reddish light of GN-z11 is z = 11.1, which means the distance of 32 billion light-years from Earth. The image of the GN-Z11 we see is 13.4 billion years old, that is, the image of the Big Bang only million years after the image. Because of this, the distance of this galaxy is usually given as 13.4 billion years. This galaxy was discovered on the basis of data from Hubble Space Observatory and Spitzer Observatory. 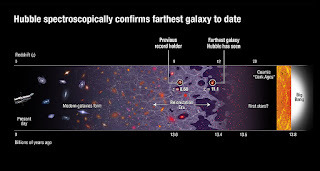 Research scientists have used the Hubble telescope's Wide Field camera 3 to calculate the distance by calculating the red deviation of this galaxy. This red deviation arises due to the expansion of the universe. 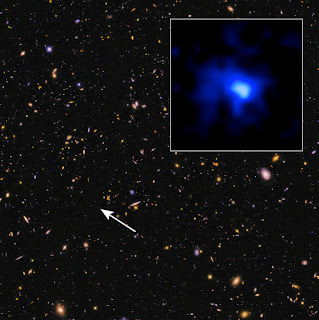 Previously the EGSY8p7 galaxy was considered to be the oldest galaxy, but the GN-Z11 galaxy is 1.5 million years old. GN-Z11 is five times smaller than our own galaxy, and its mass is 1% of Mandakini but in this it has been built 24 times faster. 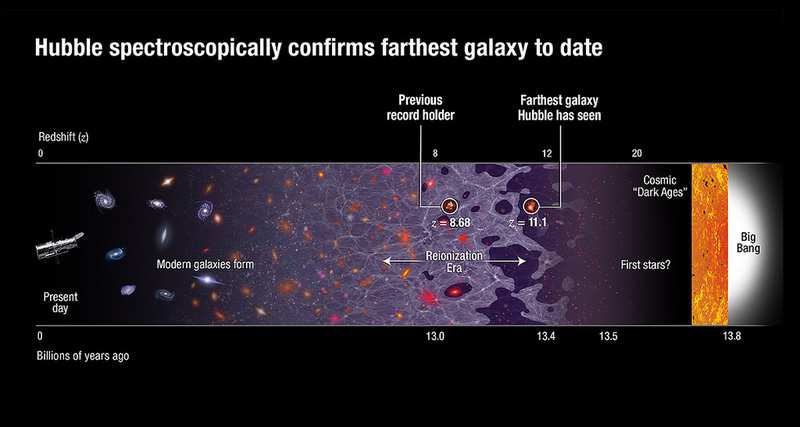 We have a new cosmic record, a galaxy discovered in 2013 is the most remote galaxy ever known. If the research data is correct, then the light of this galaxy we have seen today has left 13.3 billion years ago from that galaxy. The greatest feature of this discovery is that we are probably seeing the earliest stars of the universe taking birth! According to the current information, the inspection and data related to it seem to be accurate but the scope of suspicion always remains. The tools used for these inspections have been used to the maximum extent of their capacity. Hubble Telescope and Spitzer telescope have been used in this experiment. There is no doubt that this will be the first galaxy to be the first target of the Great Space Observatory, James Weber Space Observatory, to be launched in the near future. Before the launch of this observatory, independent confirmation of this inspection from any other device is not possible as we have used our best equipment to the extent of their capacity for inspection of the distance setting. This galaxy GN-z11 has been found near the Duchess constellation, this finding is a part of the survey of galaxies located very far away. Using astrophysicist three-dimensional telescope, astronomers observed five small points in the sky. This camera is extremely sensitive to three infrared light. This was a wonderful search. Newborn galaxies usually release ultraviolet rays because the newborns created in them are full of enormous energy and keep expanding this energy around them. But these galaxies are located at a very distance, at such a distance that they have read the emitted light from us to reach the conjunction with the expansion of the universe. The light energy of this journey is low and the light gets transformed from ultraviolet rays to infrared rays until it reaches us, this effect is called red shift. Hubble's infrared light devices were used only to check this light. But this is not enough. Hydrogen gas absorbs ultraviolet light rays. But there is also a limit to this absorption. If there is too much energy in the light, then it separates the electron from the hydrogen atom, so that the atom is no longer able to absorb the light. Ultraviolet rays of energy over this limit can not cross hydrogen. If we look at the spectrum of this light then there is no light on this specific energy. This is called Lyman Break. But if this light is coming from such a distant galaxy, then light radiation away from the lymph node is also affected by the red deviation and appears in the form of infrared rays. If you take pictures of these galaxies from different filters, they will show you some pictures, nothing in them. 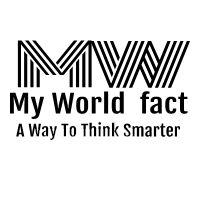 If you see which pictures are invisible in them, you can calculate its distance. The distance that the galaxy will be, the more lemon interval will be deviation. Re-irradiated radiation by the newborn galaxies may have been absorbed in some quantities by the clouds of discharged hydrogen gas before Ionogenesis again. The spectrum of this absorbed radiation also includes the Lyman-alpha line, which is the spectral sign of the hydrogen from the ultraviolet rays emitted by a neonatal star. This Lyman-alpha line is seen as a sign of the formation of stars. If the alphanumeric line shows a Lyman-alpha line in the spectral analysis of a gas, it means that the cloud is born in that cloud. Lime interval The radiation of energy more energy than the ultraviolet rays in the spectrum of a galaxy is extremely visible (above.) But if the galaxy is very far away, then there is a spectrum of red deviation (middle). In the picture below, in the light of the galaxy, The left is not showing anything, which is called the lymph node. Now we come back to the GN-Z11 galaxy. According to the data obtained from the primary calculations, the amount of red deviation in light of GN-z11 is z = 11, which made it the galaxy located the highest distance so far. It was such an important discovery that this galaxy was centered around 12 halals of Hubble telescope at GN-Z11. In this inspection, the spectrometer was used, which weighs accurately in infrared rays. It was an extremely difficult inspection because the galaxy was extremely blurry and the stars and galaxies surrounding it could have impaired inspections. It was noted in the analysis of the data in this inspection that there was no inaccuracy in these data. When he did this, he found that the red deviation of this galaxy was z = 11.09, which was making it 13.3 billion light-years away. This is a very long distance. It is also an awful distance as it is only 4 million years after the Big Bang, this is the time when we believe that Taro was born in the universe. The light which we now see in this galaxy can be the light of the stars of the first generation of the universe. This inspection also shows that this galaxy was also producing tara for some time before. According to our knowledge, the different models of the formation of galaxies and the birth of Taro show that the rate of construction of stars like Sun in this galaxy is 24x more than our galaxy Mandakini. This galaxy mass is equivalent to one billion suns which is very low. The mass of our galaxy is equivalent to 1000 billion Sun. But that's okay because the age of this galaxy is low. We are only showing light of built stars and this galaxy can contain a lot of substance which is raw material for the production of stars and waiting for the birth in the form of stars. The next question is how many such galaxies can we find at such a distance? GN-z11 is unusually radiant, at this distance the galaxies are so blurry that we are out of the grip of telescopes. We have been fortunate enough to discover this galaxy.